Healthy eating can seem daunting. I often speak to friends and family about switching to a healthier diet and they can seem quite overwhelmed by the whole thing - there are so many products in the supermarkets that are branded as healthy when in fact they're riddled with sugar, chemicals and preservatives. There's also a huge problem with us just not being education, for example a lot of people think all rice is healthy or orange juice from a carton is an excellent source for your 5 a day when that's not the case. If you don't really watch what you eat and aren't sure about what's healthy and what's not then it probably seems really confusing if you start trying to make changes. I always say to people that you can always start with really simple, easy swaps that although aren't dramatic they'll make your diet a much more nutritional and beneficial one. You have to think of it like a lifestyle change too (NOT a diet! ), these are changes you're going to permanently stick to....which is easy because these swaps are all for more tasty alternatives, as well as more healthy. So, even if you manage only 2 of these then that's amazing but try and work through them all - your mind and body will thank you for it! Bye bye white rice, bye bye white bread, bye bye pasta! Don't panic, this doesn't mean you can't have rice, bread and even pasta but those ones won't be doing you any favours! Rice is amazing, I eat a lot of it but white rice isn't the way to go! White rice is the over-processed version of brown rice, to make brown rice only the most outer layer is removed which means almost all of the goodness remains. Whereas white rice is milled to remove more layers, then polished which means practically all the goodness is taken away - in fact as much as 80% of the vitamins are removed, as well as important dietary fibre. Brown rice is packed full of B vitamins which are essential for energy, as well as loads of iron and manganese. On top of this, brown rice tastes far more delicious than white rice - I find white rice tends to be stodgy and flavourless, however brown rice is a lot richer and I find it easier to digest too. Bread is quite a controversial food, mainly due to the 'all carbs are bad' myth, but also because I think bread is quite a personal thing. For me, I can't eat any gluten as I have coeliac disease but I know many people who handle rye very well. If you can stomach gluten then switch your bread to a rye bread or soughdough as both are natural, unprocessed and much easier to digest than your regular Hovis slice. If you're gluten free then please don't reach for the supermarket 'Free From' products or a Genius loaf as these contain all sorts of nasties that we don't want in our bodies, instead I'd recommend Biona who do great Buckwheat and Millet bread that's delicious toasted with avocado and grilled tomato...yum! 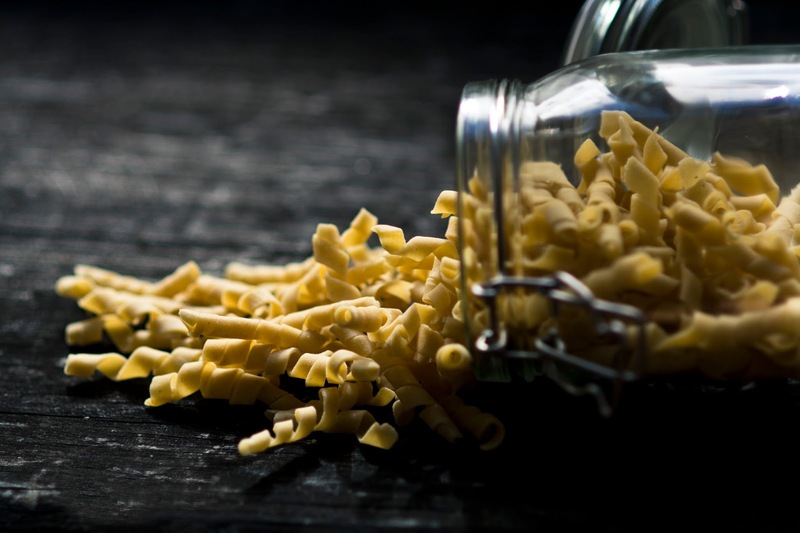 Pasta is something that used to considered healthy, but the standard pasta you buy from Sainsbury's or Tesco isn't going to help you on your journey to health. If you're gluten friendly then you could try spelt pasta as it's far less processed and refined, but if you'd like a gluten free option then go with brown rice pasta. I've actually managed to convert even my non-health conscious friends and family to brown rice pasta as it's far more delicious and leaves you feeling far more fabulous than white pasta. Regular pasta is not only extremely refined and over-processed but it often leaves people feeling bloated, sluggish and lacking in energy, brown rice does the opposite and is full of nutrition. While white potatoes definitely aren't unhealthy, sweet potatoes are a more nutritious choice. One baked sweet potato will provide you with over 400% of you RDA of Vitamin A - this is important for keeping your immune system strong, keeping your skin healthy and it's brilliant for eye health. Sweet potatoes are also bursting with vitamin C and fibre. I love making sweet potato wedges with lots of pepper and paprika! This is by far the most important step in your journey to health. Sugar is bad for you, as we all know, but it's more horrendous for our health than you may think. Consuming refined sugar can lead to liver problems, insulin resistance (a stepping stone to diabetes...which the rate of has shot up terrifyingly in the last few years), cancer (insulin is one key hormone that aids the growth of cancerous cells), promotes fat-storage and it's highly addictive. If you consume sugar regularly then you're undoubtably addicted, so when you crave something sweet after your meal or want something to sweeten your tea opt for a natural alternative. My go-to sweeteners are coconut sugar - a delicious brown sugar like substance made from 100% coconut, it tastes like a mixture of brown sugar and caramel and is ideal for baking or using in drinks, date nectar - available in most supermarkets now, and raw honey. Honey is slightly complicated as there are so many varieties, but stick with 100% raw honey or if you can afford it Manuka Honey is amazing. Even if you don't want to transition to a completely dairy free diet it's beneficial to cut down on the amount you consume. The fact is cows milk was made by a Mother cow to feed her calf; the milk is full of hormones and proteins designed to nourish a young calf to grow into a strong cow. Dairy has been shown to cause hormonal imbalances, actually not be good for our bones and also cause acne. As soon as I cut out dairy I noticed a huge change in the appearance of my skin - it become brighter and clearer, and my mood improved. The most popular dairy alternative used to be Soy milk, but since soy has been shown to be one of the top 3 genetically-modified foods in the USA it isn't seen as so healthy any more. My go-to's are almond milk, oat milk and brown rice milk and my favourite brand is Rude Health. When it comes to yogurt there's only one brand I turn to, and that's Coyo. Coyo products are all 100% natural, gluten free and vegan, they're made out of freshly squeezed cream from the flesh of a coconut and there's quite a few flavours to choose from but the one I enjoy most is vanilla. This is another debatable topic, and everyone has different opinions so I'm going to leave this quite open but give you suggestions on oils to definitely avoid and my personal favourites. Avoid spray oils at all costs! These are full of all sorts of nasty chemicals and artificial things that are absolutely no good for your body, also avoid sunflower oil, vegetable oil and rapeseed oil as these contain fats that aren't good for us. The two best oils are olive oil and the increasingly popular coconut oil. I personally cook with coconut oil and use olive oil on salads, dressings or anything that means I won't eat it - this is because olive oil has a low tolerance for heat. I then use coconut oil for cooking, and I buy the 'mild' one that doesn't actually taste like coconuts. However, olive oil isn't unhealthy to cook with and if you cook with that rather than spray oils or vegetable oil then you're winning! We all love a good snack, but most supermarket bought snacks are brimming with sugar, preservatives, salt and chemicals. You want to ditch the Walkers, the Cadburys, the granola bars and the salted nuts and opt for a piece of fruit, carrot sticks with hummus, nut butter on a rice cake, homemade energy balls, plain roasted nuts or if you'd like to buy shop bought snacks the Nakd Bars are a good option as they're completely raw. If you're craving chocolate then there are some incredible healthy chocolate bars out there that actually taste so much nicer than Cadburys or Galaxy - my favourites are Ombar (their raspberry and coconut chocolate is a dream), Conscious, Raw Chocolate Co and Bouja Bouja. Those brands tend to only be stocked in health food stores, so if you're looking for something in the supermarkets go for the darkest chocolate you can find. Ordering an Indian takeaway may be tempting sometimes but all takeaways tend to be full of rubbish oils, preservatives and nasties but if you make a homemade curry you know exactly what's going into it, it's all fresh and it'll taste far more delicious. In addition to this try making your own smoothies - shop bought juices and smoothies are pasteurised 90% of the time. This means they're heated and the goodness is destroyed. All you have to do is chuck some fruit, and preferably some veggies like spinach or kale, into a blender with water or almond milk into a blender! I know a lifestyle change can be daunting, but once you get started and realise how wonderful the food is and how amazing you start to feel you'll wish you'd done it sooner! I've got so much more I could talk about, but that's all the best advice and the tips I think will be most valuable in helping you feel your happiest and healthiest.